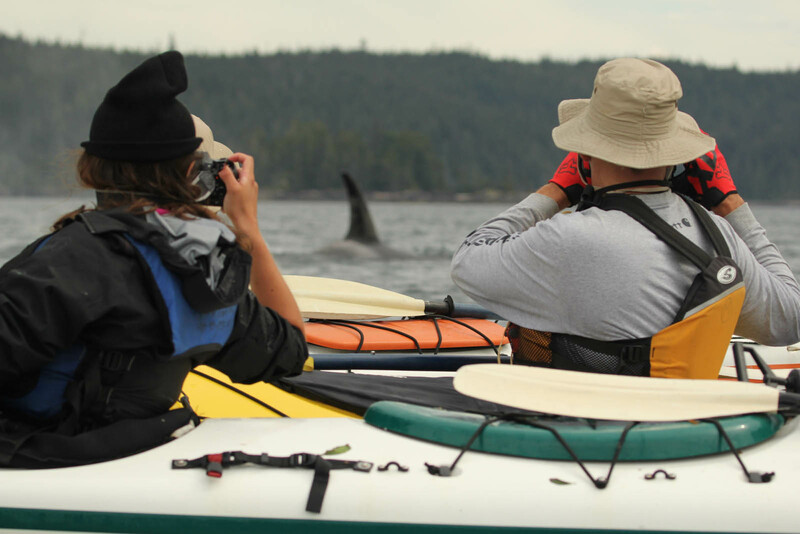 Our most popular sea kayaking trip is Kayaking with the Orcas of the Pacific, a 6 or 7 day guided kayak trip that conveniently leaves from Vancouver, BC, in our comfortable 15 passenger van. 6 Days/ Class 1/2 – Beginner An exploratory journey to glimpse what west coast inlets were like before development and logging. Dramatic coastlines with sea caves and sandy beaches. Add the greatest concentration of sea otters on the west coast of Vancouver Island and you have an excellent adventure. 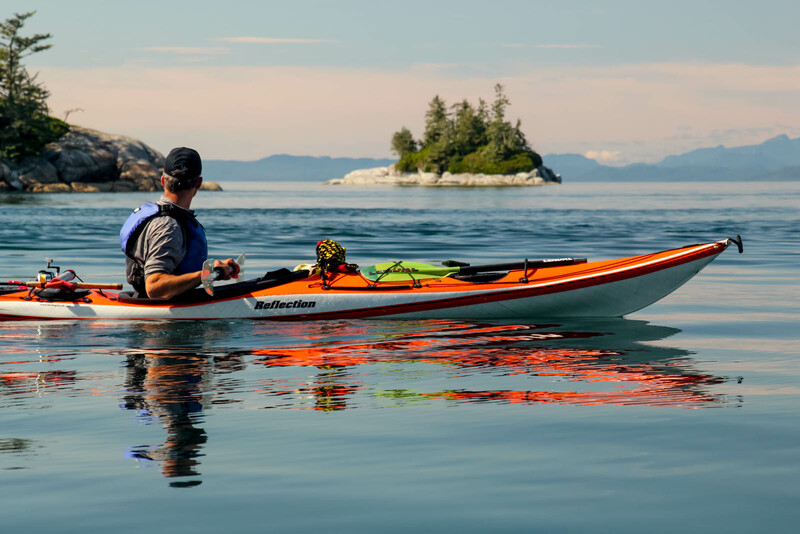 6 and 7 Day/ Class 1/2 – Beginner Combine the exhilaration of paddling beside these breaching, spouting, power swimming orcas, with rugged coastal scenery, magnificent west coast rain forest, and you have the ultimate coastal kayaking experience. 6 Days/ Class 1/2 – Beginner Paddling in the wake of Captain Cook, the idyllic nature of the sound as a west coast destination becomes obvious. There are many small islands, coves, rocky coastlines, beaches and rainforest to explore within its protected waters. 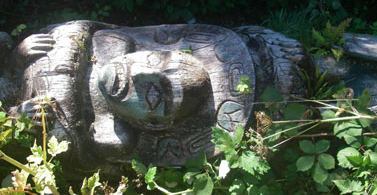 9 Days/ Class 1/2 – Beginner The Broughton Archipelago, a BC Marine Park, combines islands, middens, and half hidden coves and the area is rich in it’s diversity of wildlife, scenery and First Nation’s history. 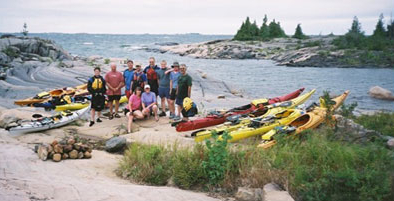 5 Days/ Class 1-3 – Intermediate & Advanced Experience the beauty of Lake Huron’s Georgian Bay while learning more advanced kayak paddling skills and wilderness camping techniques. These sleek, maneuverable and very stable craft allow the paddler to slip silently across the waters, explore shallow inlets and coves, and approach marine mammals and birdlife without disturbing their calm. 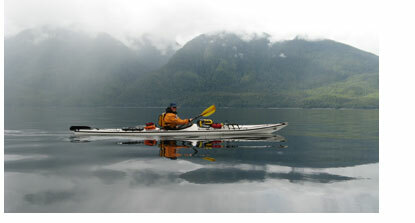 Kayaking is a wonderful way to experience wilderness coastal regions. Our kayaking trips are suitable for beginners but will also satisfy experienced paddlers. Our certified guides are experienced sea kayakers who have a keen interest in the natural and cultural significance of a region. They are dedicated to providing the personal attention that will assure you a safe and rewarding adventure. It is very difficult to completely categorize trips under one classification as elements of different categories can be present on a trip. We have attempted to give an overall sense of what you will encounter. Class 1: Gentle tours in non-challenging, protected waters with limited wind effect, little or no current, easy landings and ready access to land-bases assistance. Class 2: Tours in lightly populated areas with short crossings, moderate potential wind effects, gentle to moderate non-turbulent currents, easy to moderate landings and light surf beaches. Class 3: Exposed water; sparsely populated areas with more committed crossings, moderate to strong currents with turbulence, moderate to strong wind effects, ocean swells, difficult landings, surf beaches. Class 4: Long committed crossings, uninhabited, rugged and exposed coast; strong turbulent currents, strong wind effects, large swells, difficult landings, exposed surf beaches.